Whether you are dealing with Hurricane Harvey or a future weather catastrophe, any of us could find ourselves in the chaos of a destructive storm. If/when it happens, brace yourselves. Have a plan in place and be ready to respond. As I write this, Hurricane Harvey has raged through Texas. It is now a tropical storm that is flooding a widespread area. The coming days and months are going to stressful for remodeling contractors serving flooded areas, as well as our homeowner victims. There will be far more demand for your services than you can possibly provide. 1. Your homeowners need advice right now, more than anything else. They are calling their insurance company, FEMA, and remediation companies, and most likely not getting through, so their anxiety level is very high. Ten minutes on the phone with them could mean a world of difference to them, even if you can’t physically get over there yet. Call your existing and past clients in flood prone area and offer to be available to answer questions. Also, call your trades and see how many can work and how many are out of commission with flooded homes themselves. 2. Clients have probably been calling or texting and trying to “get on your list” for remediation and repairs. Be sure you respond to them and let them know you received their request, and that you are compiling a list of clients in need. You will get to them as soon as possible. 3. Advise clients to try to get a brand-name, known remediation company lined up to come out as soon as possible. If your company is set up for water remediation – for example, if you have lots of the big dehumidifiers, air movers, moisture meters and other specialized equipment, you can take on remediation work. If not, try to avoid it. You can demo carpet, sheetrock to 2 or 4’ and remove wet furniture, but you will not be able to effectively dry the house out. If you choose to do this initial demo be sure to advise your clients that they still should call a remediator who has the dehumidifiers. If you do what could later be seen as a “half-way job” and the house gets moldy, you could be legally liable for making the situation worse. 4. Call clients with whom you have jobs going on at present, ask about their condition and their homes’ status, and write the information down. Advise them that, even if they did not flood, their job production will be put on hold while you deal with emergency work. Do not give them a projected time you will return. The truth is, you do not know. 5. Call your trades early on and ask them to give your clients priority, if possible. Especially your demo crews, paint and drywall guys and carpenters. 6. Have a policy that limits your geographic work territory. Your time and talents will do more good for more families if you limit your work to a 3-mile or 5-mile radius. 7. Once it is safe to drive the roadways, your top priority is anyone who has a health and safety issue. For example, if water is rising near the outlets and they need to turn off the main breaker. If they don’t know how, that is an emergency call. If some of the roof has been torn off and water is pouring is, attend to that first. To be well-prepared for hurricane or high wind storms, you should always have stockpile of blue tarps in varying sizes, and plenty of ropes. 8. Once you have responded to the emergency calls, offer help your older clients and anyone who has a physical or mental challenge. 9. After that, start helping existing and past clients. This means telling other callers that you cannot help them because you are trying to care for your current client base. This is heartbreaking to them. They may beg for your help. Remodelers by their nature want to help everybody, but if you spread yourself too thin, you won’t be effective to anyone. 10. Advise your clients to be realistic and patient. Their home may not be restored for many months. The suppliers may run out of certain materials, such as sheetrock, due to high demand. This can delay or stop progress on your client’s job. 11. There will be battles with FEMA adjusters over blatantly low repair estimates. Your clients need to know that settlements from FEMA will not cover the cost of having a professional remodeler restore their home. They will have to pay out of pocket to get it done. This is not welcome news, but they need to know what to expect. 12. Some remodelers will focus on homes where the owners know they want to do more extensive structural remodels since their home is torn up anyway. These “flood-plus” projects tend to be more profitable. 13. 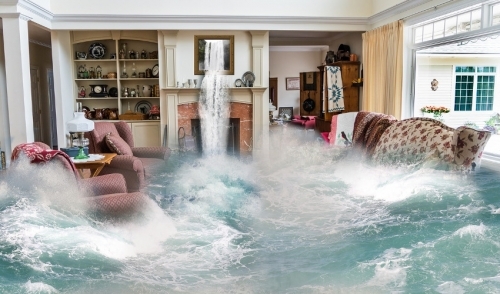 If your home or office is flooded, attend to that as soon as possible. You need shelter for your family and a working base of operations from which to serve your clients. Have your trades prioritize your office and home as soon as you have attended to health and safety needs of your clients. 14. Once you start repairing homes, service these clients well. Give them hope and encouragement. Give them extra and ongoing communications about the schedule and progress on the job. This will be impossible to do if you have spread yourself too thin, adding stress to your life, and theirs. Do not overcharge homeowners for this work! Word will spread quickly and it will hurt your company in the future. 15. Lastly, please pray for your clients and all those whose lives have been turned upside down by the devastation. Your home is THE sanctuary in your life. If it is horribly damaged and unlivable, it strikes a deep blow to your psyche, self-confidence, and your core sense of security. Pray for coping skills and peace for your neighbors in the days and months to come.